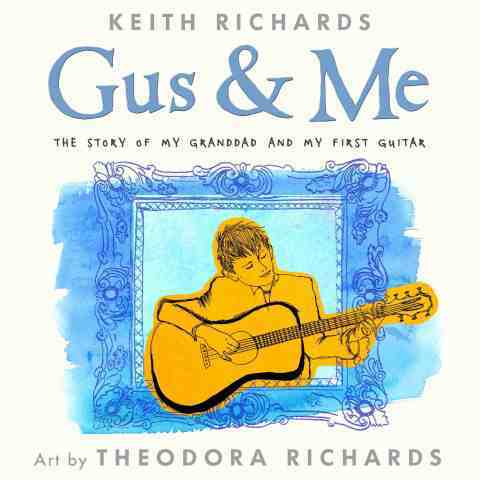 NEW YORK--(BUSINESS WIRE)--Megan Tingley, Executive Vice President and Publisher, Little, Brown Books for Young Readers, announced today the upcoming picture book publication of Gus & Me: The Story of My Granddad and My First Guitar from world-renowned Rolling Stones rock star Keith Richards, with illustrations by his artist daughter, Theodora Richards. Inspired by a childhood experience shared in Richards’s New York Times bestselling memoir, Life, the story was written with Barnaby Harris and Bill Shapiro and will simultaneously release in hardcover and ebook on September 9, 2014, with the hardcover edition including an exclusive audio CD featuring bonus book content. The author and artist were represented in the deal by Richards’s manager, Jane Rose, and Ed Victor Ltd. The world English rights acquisition was made by Megan Tingley, who will also edit the book. It will also be published simultaneously in the UK by Orion Children’s Books, an imprint of The Orion Publishing Group, a division of Hachette UK. Keith Richards is a musician, singer, songwriter, and founding member of the rock band the Rolling Stones. Widely considered to be one of the best guitarists in the world, he has a collection of over 350 guitars. His memoir, Life, was published to unanimous critical acclaim and has sold over 2 million copies worldwide. Mr. Richards has five children and five grandchildren. Theodora Dupree Richards, named after her great-grandfather Theodore Augustus Dupree, is an artist and a daughter of Keith Richards and Patti Hansen. She has taken art classes at various schools in New York City, including the New York Academy of Art and the School of Visual Arts. In order to research the images for this project, she traveled to the Richards family home in Dartford, England, and pored over family and historical photographs of Richards’s childhood era. This is her first book. Little, Brown Books for Young Readers is a division of Hachette Book Group, a leading trade publisher based in New York and a division of Hachette Livre, the second-largest trade and educational publisher in the world. HBG publishes under the divisions of Little, Brown and Company, Little Brown Books for Young Readers, Grand Central Publishing, Orbit, Hachette Nashville, and Hachette Digital.